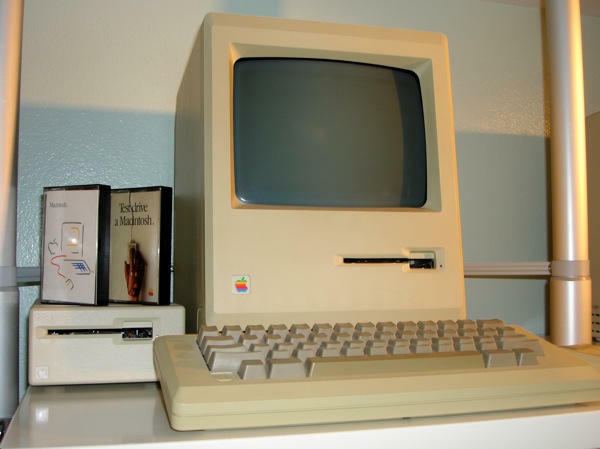 James Savage from the RetroMacCast got in touch to share his story of original Mac ownership. “While it was the first Macintosh Apple released, my original Macintosh was not my first. It was probably around my 100th. This Mac was an eBay acquisition like most of my Macs which now number around 170. “My first Macintosh was a Macintosh Plus in 1988, and I had an Apple //e before that. After that Plus, I would get a new Mac about every two or three years, and the old ones would get passed down to other family members. 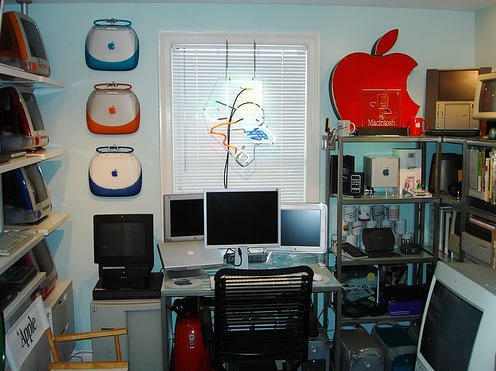 Around ten years ago those Macs would get passed down back to me! This was the beginning of my collection. to my wife’s chagrin, Macs started arriving at our house almost daily. ABOVE: James’ Macca shrine to all things retro. More pics here and here. “With the collection largely complete, I’ve found an outlet for this obsession in podcasting. With my co-host, John Leake, I produce the RetroMacCast. It turns out that there are many more Mac collectors and Apple history fans out there like us, so each week John and I walk down the Macintosh memory lane. Our slogan is “It’s not old. It’s retro!”. ABOVE: One of the orginal Macs gets switched on to celebrate the 25th anniversary. for its 25th birthday. The other will be a project for another day and another episode. Thank you, James, for your story and pictures. Anyone else out there got a Macca? We want to hear from you.